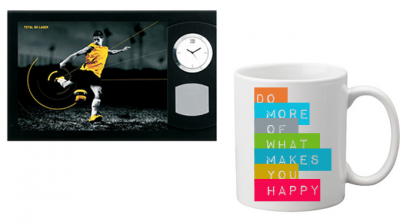 Combo Gift Set. 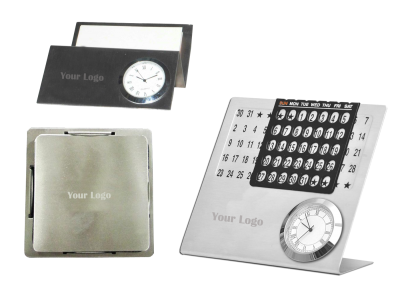 Consist of one Lifetime Desk calendar, one Desk Card Holder with clock and one set of 4 Pc table coaster. 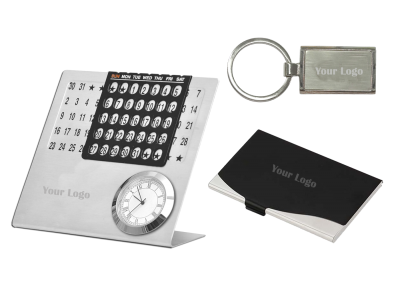 Combo Gift Set Consist Consist of one Lifetime Desk Calendar, one Card Holder and one Metal Key Chain. 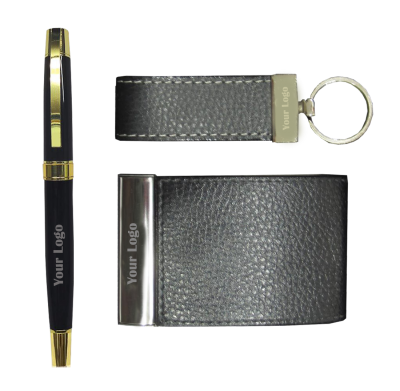 Combo Gift Set Consist of One Leather Card Holder, One Metal Roller Pen and One Leather Key Chain. 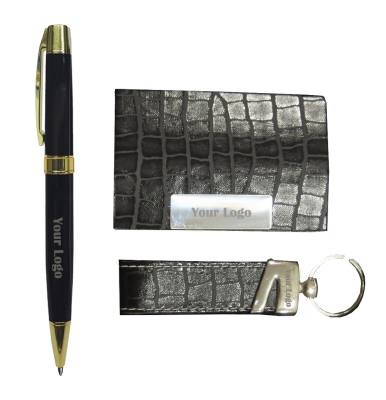 Combo Gift Sets Consist of one Leather Card Holder, one Metal Roller Pen and one Leather Key Chain. 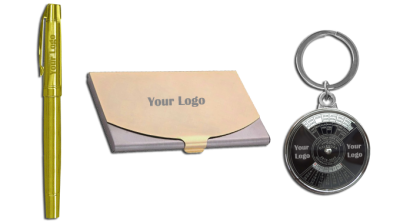 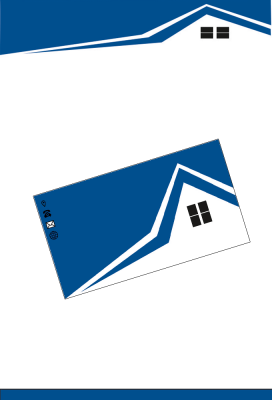 Combo Gift Set Consist of one Metal Roller Pen, one Metal Card Holder and one Metal Key-ring. 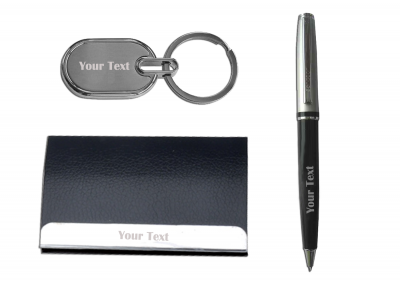 Personalized Combo Gift set with Text & Logo. 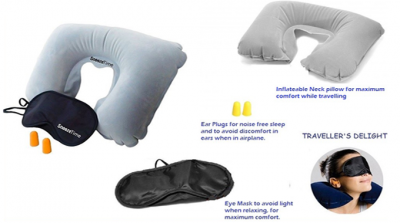 Personalize Your Combo Travelling Sleeping Kit.